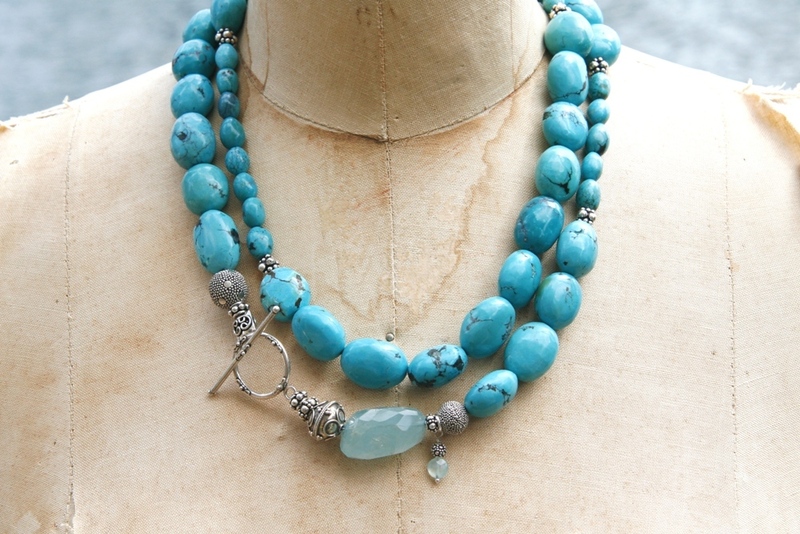 If you’re a turquoise fan, you may want to snap up as many of the pieces as possible before they out-price diamonds. The Smithsonian magazine says turquoise is about to become more rare and costly than the stones known as a girl’s best friend. That’s partly because China, which sells about 75 per cent of the jewellery-quality gems, has called a moratorium on turquoise mining for a minimum of three years. Possibly five. 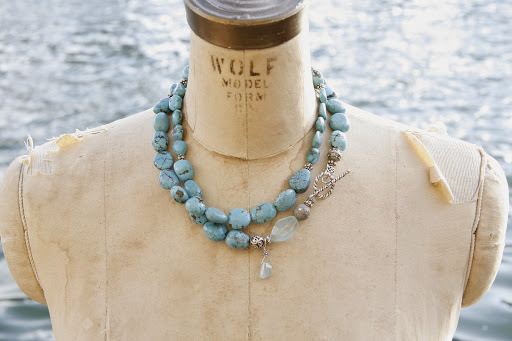 The gem is found in arid climates, and other sources of turquoise include Iran, Egypt, and the American Southwest – where the mines are almost tapped out. 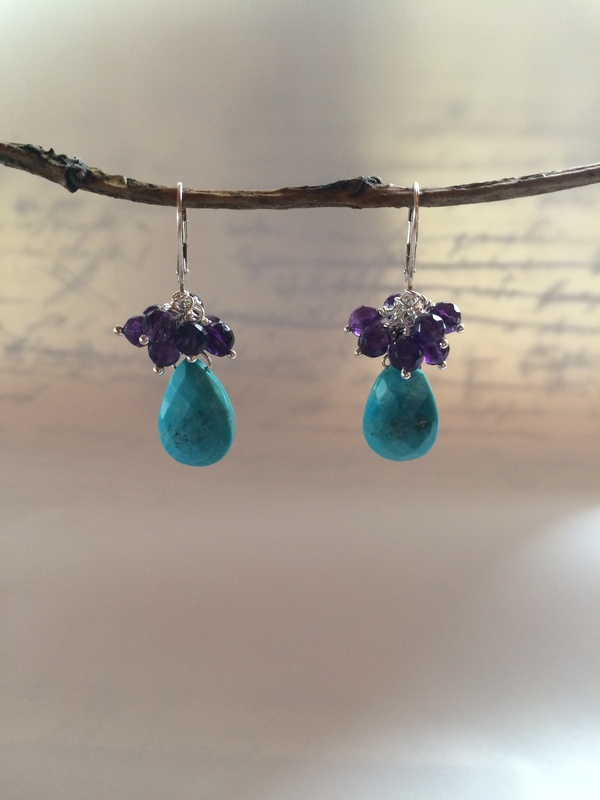 The beautiful turquoise in these earrings came from Arizona’s soon-to-be exhausted Sleeping Beauty mine and you’ll find them in the online shop. Throw in the fact that turquoise is the star stone for spring 2015 — it picks up on the range of blue-green fashion colours anointed by Pantone – and I’m advising everyone who loves turquoise to invest in it now. The stone is timeless, so if you choose unique pieces that defy trends it will serve your wardrobe well for decades to come. Here are some pieces from my portfolio. I often mix the turquoise with other blue-green stones to bring out the rich colours. 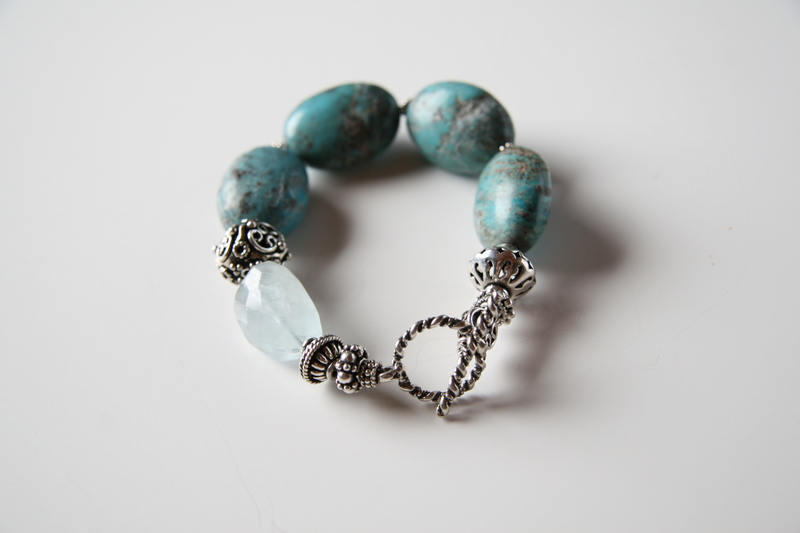 And I often mix turquoise with aquamarines for a more sophisticated look. There’s only one turquoise necklace in the shop at the moment, a long rope mixed with aquamarine accent stones that can be wound into two strands. 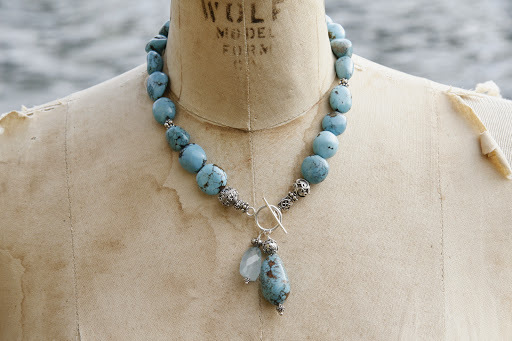 But I found some of those rare Sleeping Beauty turquoise stones at the Tucson Gem Show, so I will be creating a few more pieces. If you want a first look at those new pieces, please sign up for my newsletter.